The panel aims to bring authors and readers together in an open exploration of the way in which theory is used in the making and analysis of policy. There are numerous books and journal special issues about policy and theory, but they do not always explain how they see the subject and why they address it in the way they do. 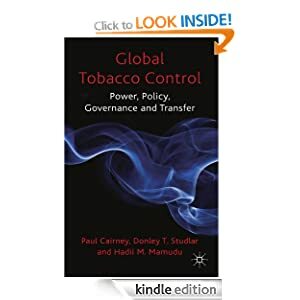 In this panel, the authors or editors of selected current texts will be invited to state how they see policy process theory, and how they chose to address it in their book, and a selection of readers, with varying relationships to the policy process and its analysis, will be invited to review these books the ways in which, and the extent to which, they found them useful in advancing their understanding of the policy process. The size and scope of the state is so large that it is always in danger of becoming unmanageable. The same can be said of the crowded environment in which huge numbers of actors seek policy influence. 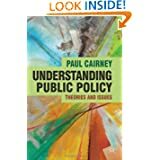 Consequently, to all intents and purposes, policymakers manage complexity by breaking the state’s component parts into policy sectors and sub-sectors, with power spread across many parts of government. Elected policymakers can only pay attention to a tiny proportion of issues for which they are responsible. So, they pay attention to a small number and ignore the rest. In effect, they delegate policymaking responsibility to other actors such as bureaucrats, often at low levels of government. At this level of government and specialisation, bureaucrats rely on specialist organisations for information and advice. Those organisations trade that information/advice and other resources for access to, and influence within, the government (other resources may relate to who groups represent – such as a large, paying membership, an important profession, or a high status donor or corporation). Most public policy is conducted primarily through small and specialist policy communities that process issues at a level of government not particularly visible to the public, and with minimal senior policymaker involvement. 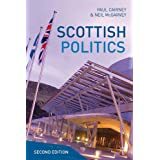 This description of ‘policy communities’ suggests that senior elected politicians are less important than people think, their impact on policy is questionable, and elections and changes of government may not provide the changes in policy that many expect. Initially, Jordan and Richardson were addressing the worry in the 1970s that alternating parties of government were damaging UK politics. We can still find the same kinds of contrast between the popular image of centralist, majoritarian Westminster politics and academic studies of policymaking. Jordan and Richardson also described the influence of US studies of interest groups and subsystems, to suggest they were describing the UK brand of an international product. academics make sense of these concepts in very different ways, partly to reflect their preferred approaches, and partly to describe the different ways in which policy actors deal with bounded rationality and complexity in specific contexts. My main contribution to this discussion is a picture that looks like a turtle. I use it to describe policymaking to non-specialists and reflect on this description with other specialists. It projects the sense that people combine (say) cognition and emotion to make choices, and they do so within a complex policymaking environment consisting of many actors spread across many venues, each with their own rules, networks, ways of seeing the world, and ways of responding to socio-economic factors and events. The centre of the picture does not describe a centre of government, and the lines between each factor do not imply causation. Different academics describe each concept in remarkably different ways. Some differences seem irreconcilable. At least, we should not take synthesis lightly. The US or Global North provides the primary lens through which to view the world of policymaking. Applying that lens to Global South countries may be useful in one sense (to analyse policymaking systematically) but damaging in another (to treat some experiences as normal and others as meeting the norm or representing outliers). White male professors seem the most likely to tell these stories of policymaking. One response, explored in the 2nd edition of UPP, is to describe the problem and commit to making continuous changes. Another is to encourage far more voices as part of a series of textbooks on policymaking. I will use part of my talk to encourage such submissions to the Palgrave series that I edit, while acknowledging that the opportunities to engage, and rewards for engagement, are not shared equally. This post – by Dr Kathryn Oliver and me – originally appeared on the LSE Impact Blog. I have replaced the picture of a thumb up with a cat hanging in there. Many academics want to see their research have an impact on policy and practice, and there is a lot of advice on how to seek it. It can be helpful to take advice from experienced and successful people. However, is this always the best advice? Guidance based on best practice and success stories in particular, often reflect unequal access to policymakers, institutional support, and credibility attached to certain personal characteristics. 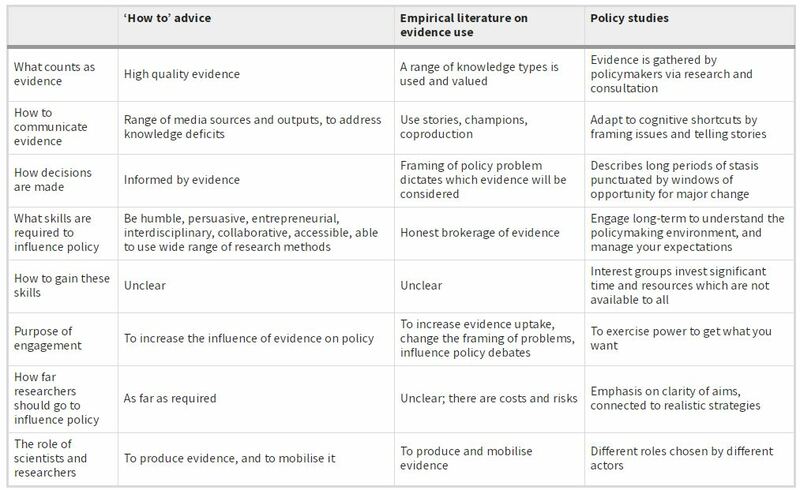 To take stock of the vast amount of advice being offered to academics, we decided to compare it with the more systematic analyses available in the peer-reviewed literature, on the ‘barriers’ between evidence and policy, and policy studies. This allowed us to situate this advice in a wider context, see whether it was generalisable across settings and career stages, and to think through the inconsistencies and dilemmas which underlie these suggestions. Do high quality research: Use well-established research designs, methods, or metrics. Make your research relevant and readable: Provide easily-understandable, clear, relevant and high-quality research. Aim for the general reader. Produce good stories based on emotional appeals or humour. Understand the policymaking context. Note the busy and constrained lives of policy actors. Maximise established ways to engage, such as in advisory committees. Be pragmatic, accepting that research rarely translates directly into policy. Be ‘accessible’ to policymakers. This may involve discussing topics beyond your narrow expertise. Be humble, courteous, professional, and recognise the limits to your skills. Decide if you want to be an ‘issue advocate’. Decide whether to simply explain the evidence, remain an ‘honest broker, or recommend specific policy options. Negative consequences may include peer criticism, being seen as an academic lightweight, being used to add legitimacy to a policy position, and burnout. Build relationships (and ground rules) with policymakers: Relationship-building requires investment and skills, but working collaboratively is often necessary. Academics could identify policy actors to provide insights into policy problems, act as champions for their research, and identify the most helpful policy actors. Be ‘entrepreneurial’ or find someone who is. Be a daring, persuasive scientist, comfortable in policy environments and available when needed. Or, seek brokers to act on your behalf. Reflect continuously: should you engage, do you want to, and is it working? Academics may enjoy the work or are passionate about the issue. Even so, keep track of when and how you have had impact, and revise your practices continuously. Can academics try to influence policy? The financial costs of seeking impact are prohibitive for junior or untenured researchers, while women and people of colour may be more subject to personal abuse. Such factors undermine the diversity of voices available. How should academics influence policy? Many of these new required skills – such as storytelling – are not a routine part of academic training, and may be looked down on by our colleagues. What is the purpose of academics engagement in policymaking? To go beyond tokenistic and instrumental engagement is to build genuine rapport with policymakers, which may require us to co-produce knowledge and cede some control over the research process. It involves a fundamentally different way of doing public engagement: one with no clear aim in mind other than to listen and learn, with the potential to transform research practices and outputs. Where is the evidence that this advice helps us improve impact? The existing advice offered to academics on how to create impact is – although often well-meaning – not based on systematic research or comprehensive analysis of empirical evidence. Few advice-givers draw clearly on key literatures on policymaking or evidence use. This leads to significant misunderstandings, which can have potentially costly repercussions for research, researchers and policy. These limitations matter, as they lead to advice which fails to address core dilemmas for academics—whether to engage, how to engage, and why—which have profound implications for how scientists and universities should respond to the calls for increased impact. Most tips focus on individual experience, whereas engagement between research and policy is driven by systemic factors. Many of the tips may be sensible and effective, but often only within particular settings. The advice is likely to be useful mostly to a relatively similar group of people who are confident and comfortable in policy environments, and have access and credibility within policy arenas. Thus, the current advice and structures may help reproduce and reinforce existing power dynamics and an underrepresentation of people who do not fit a very narrow mould. The overall result may be that each generation of scientists has to fight the same battles, and learn the same lessons over again. Our best response as a profession is to interrogate current advice, shape and frame it, and to help us all to find ways to navigate the complex practical, political, moral and ethical challenges associated with being researchers today. The ‘how to’ literature can help, but only if authors are cognisant of their wider role in society and complex policymaking systems. Writing a dissertation can be daunting. It is likely the longest piece of work you will plan as an undergraduate (10000 words plus bibliography) but, when you are done, it will not seem long enough. On the one hand, it is a joyous exploration of research, in which you receive supervision but are in charge. On the other, you don’t want it to go horribly wrong. It seems unlikely that reading my blog will spark joy, but I can at least give you some tips to avoid unnecessary problems and make your dissertation manageable. Other advice (such as the reading in your module guide) is available, and I suggest you take it. Indeed, whenever I speak with colleagues about my approach to supervision, it seems relatively conservative and joyless. On the other hand, why not play it safe with the dissertation then use all the time you’ve saved by seeking joy in a lovely meadow or a summer’s day? Ask the right research question. You should find it interesting and want to answer it. It should be something that you can answer. It should be specific enough to help you manage your time well and answer it with the resources you have. Compare with Halperin and Heath’s (p164) criteria, in which it should be important, ‘researchable’, and it has not been ‘answered definitively’. For example, many projects that I supervise follow roughly the same format: what is policy, how much has it changed, and why? We can then narrow it down in several ways by choosing a specific issue, political system, time period, and/ or aspect of policy change. (b) limiting theory selection by focusing on a small number of political system dynamics. Describe your initial question or theme with your supervisor, and work with them until you are both happy with the question. Write the abstract and the introduction first? Writing a half page abstract allows you to describe what your project adds up to. Writing the introduction allows you to describe your research design in enough depth to reflect on it is coherence and feasibility. All going well, it will be only a small jump from your POLU9RM ‘research project design’ exercise. It allows you to make sense of a quite general format for research publications (in many fields): theory, method, results. Write the question/ title and abstract, share it with your likely supervisor, and talk about how coherent and feasible your plan looks. Identify the relevant theory or literature. A too-general question about political parties or elections. A too-general question about policy change. One good solution is to ask if (say) the advocacy coalition framework or multiple streams analysis helps explain your case study. Or, I have supervised many good dissertations asking: what can X government learn from Y government about solving Z policy problem? Identify your method to gather information. Why are you choosing this method? Does it relate clearly to your research question? Or, have you begun with the most interesting sounding method? Or, do you have some sort of connection that gets you access, which seems a shame not to use? Are you prepared to do a literature review on your chosen method? What do you realistically expect to get from your method? What will you do if it goes wrong? Discuss your choice of data collection with your supervisor. Think about how you will analyse and interpret the results. This part tends to make the difference between a very good or an excellent dissertation. Evaluate the size of the results according to your expectations. Does a survey result seem unusual? Describe how much one should rely on the results. Does the result seem important after taking into account a margin of error? Describe the wider context. Does the result mark a change over time, or seem different from another country? Relate a case study result to your literature review. Is your case unusual, or as expected? Be clear about the conclusion. Don’t just to the dissertation equivalent of saying ‘cheerio’ (or, my favourite thing, leaving without saying cheerio). The introduction, because you should use it to summarise your question and approach (perhaps quite briefly) and relate it in some depth to the results. The analysis of results, because you relate the results much more clearly to your overall project. Remember to add your bibliography and ask yourself if you need an appendix for your data (which does not count towards the word count). PS some of my supervisees write policy analysis reports, which differ somewhat from regular dissertations. If you are keen, please see me and/ or read more here. The ‘Ecology of Games Framework’ (EG) combines insights from many approaches to analyze ‘institutional complexity’ and ‘complex institutional systems’. The focus is on actors learning how to secure ‘mutually beneficial outcomes’, cooperating to produce and deliver agreed solutions, and bargaining within a system over which no actor has control. Therefore, it is worth reading the posts on game theory, the IAD, and SES first (especially if, like me, you associated ‘game’ with tig, then Monopoly, then The Wire). EG connects Norton’s ‘ecology of games’, the IAD, and insights from complexity theory to reinforce the idea that institutional arrangements are not simple and orderly. In simple games, we need only analyse the interaction between a small number of actors with reference to one set of self-contained rules providing clear sanctions or payoffs. In real world policymaking, many different games take place at the same time in different venues. Examples such as ‘biodiversity’, ‘ecology’ or ‘environmental’ policies command a collection of interdependent policies relating to issues like local planning, protected species, water management, air pollution, transport, energy use, and contributors to such policies or policy problems in other areas of government (such as public services). Each contributor to policy may come from different institutions associated with many policymaking venues spread across many levels and types of government. Consequently, many games interact with each other. The same actor might participate in multiple games subject to different rules. Further, each game produces ‘externalities’ for the others; the ‘payoffs’ to each game are connected and complicated. Internal to the game, when actors (a) follow and shape the rules of each institution, and (b) learn through trial and error. External to the game, when physical resources change, or central levels of government change the resources of local actors. Actors deal with bounded rationality primarily with reference to their ‘social tribal instincts’. They engage in ‘policy learning’ to update their policy knowledge and enhance their policymaking position. Consequently, we have come a long way from simple assumptions about human behaviour outlined in our first post in this series. As with the IAD, the EG emphasis is on (a) finding solutions to complex (largely environmental) policy problems, with reference to (b) initiatives consistent with self-organising systems such as ‘collaborative governance’. Like most posts in this series, it rejects a naïve attachment to a single powerful central government. Policymaking is multi-centric, and solutions to complex problems will emerge in that context.